Wow - those are some great resources!! 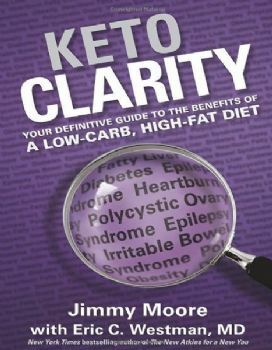 It is frustrating to do keto strictly and not see immediate or even some consistent results. I think keto is also about fixing your body, and that is inside and may not have anything to do with pounds lost. I bought myself a pair of size 6 shorts, really cute ones. I tried them on the first of May, and took a picture of how far from zipping they were. First of June, I'll do it again. First of July, same thing. Size 6 is reasonable for me, I'm only 5'2" and I am wearing size 10 right now. But goal shorts are much different than a goal weight (which I also have, but that's going to be adjustable once I lose the fat - which is the main goal). I only weigh once every 5 days, log it and forget it. I measure my ketones pretty much every day (3.7 today) and my blood glucose once a week or so (70 today) and one of these days I'm going to get a fasting insulin test to see if I have Insulin Resistance which is the other thing I'm interested in learning about. And not everything works for everyone, as I'm sure has been said repeatedly in this forum. What a great group! I don't think I could have chosen better. Thank you all for your input and wisdom. I feel supported and empowered! I am ready to keep on keeping on . . . Keto Power! There are so many "diets" and so many ways of eating, that if you tried to follow them all you would have nothing left to eat. But I'll give you my logic for Keto and links just to Wikipedia. "Carbohydrates are a common source of energy in living organisms; however, no single carbohydrate is an essential nutrient in humans. Humans are able to obtain all of their energy requirement from protein and fats, ..."
OK, I'll take that at face value. There are other places in Wikipedia where some carbs are suggested, but I'll (or we'll) just ignore those spots, but take everything else as "correct". After all I do have this one place in Wikipedia where it says we don't really need any carbs at all. So step 2, how much protein? So there it says 46 grams a day for women, 56 for men. That is grams of protein, not grams of meat. So I take that as "correct". Of course on that page you see 130 grams or carbs, and that is where, based on the first link, that I ignore the carbs. So step 3, how much fat? Same link as above, where it says 78 grams, but I'll take this as a minimum amount of fat. Indeed I think if you want to eat enough calories, and need more, this is the area to increase. Yes but, zero carbs? I view carbs as "leaking" into my diet, to get to the things I need, like vitamin C. How can you get your vitamin C needs without eating some carbs ... ? So unavoidable really. But that doesn't mean eating rice or pasta. Just eating something with some carbs to get to what is needed. That is my view on Keto. It does sound like you are on the right track. By the way, "stories" of folks who lost like 20 pounds in 20 days ... or whatever other pipe dream ... don't worry, unless you know them personally (like you can drive up to their house and ring the bell), its ... well... don't think about it. I think the measuring is far more telling than the scale. I truly believe the scale is given way too much credibility when it can go up or down from about anything..but your measurements are a far more accurate judge of how you are doing. I have several friends that have lost several pants sizes yet NOTHING on the scale..doesnt seem possible but its true!! Personally, i weigh once a week if i'm doing a challenge, otherwise once every 2 or 3 weeks. others weigh daily. its a personal choice..but for me it was really effecting how i felt..if i didnt lose i was unhappy..and its unreasonable to think you should be losing daily. For others , if they dont weigh they dont stick to it...all personal choice. But i think most agree the measurements are a much more accurate way to see your progress! I went into it full bore from the start! I walked away from my potatoes and bread (my two biggest loves in the carb world) and didn't look back. I still miss both but see how they have not been friends to my personal well-being. I love anything with HWC -- always been a lover. When I ate cold cereal (which was not often - not a fan) I preferred HWC but could do with nothing less than half & half on it so high fat is not really a problem. Always ate the fat on any meat I ate. I am snacking on things like deviled eggs made with cream cheese and very little mayo. At times I add bacon bits - not the artificial but bacon I fry. I did read at some point (comes to mind now) that I would be better served to "measure" (waist,etc.) rather than weigh in. Fact or fiction or should I be doing both? So glad to have you with us!! Happy to help in any way we can..as said there are several different ways to do keto but the basics are the same from most reputable experts. You said you joined 3 weeks ago, is that when you started keto? And did you go right into it or ease in---that will make a difference in results, too. Your body needs time to get used to what you are doing. Some people gain at first..their bodies are so used to being starved they hold onto everything thinking this is the feast part of feast or famine...but hanging in and sticking to it, your body adjusts, then realizes ok..they ARE going to feed me now...we're ok. I dont want to overwhelm you with things to go look at, but this is a good explanation of why some dont lose..than all of a sudden theres a big drop. I read about it, but the visual of the short video put it into better perspective for me. we are here to help and support you..I know how hard it is to see others posting about huge losses when it isnt happening with you, and you are working so hard. Hang in..you can do this!! You asked about tracking. I tracked every morsel for the first 3 months. I used My Fitness Pal..there are other apps you can track with, including Sparkpeople. I seem to rotate the same meals, i know what they are and the counts for them, so now i do whats known as "Lazy Keto" (which simply means no tracking) for a couple weeks, then track for a couple,so i dont get too slack in what i'm doing. For me, tracking at first was essential. I could see that i wasnt eating enough fat, and too much protein..and I could then tweak that. Had I not tracked I would have thought i was fine with everything, because i was eating the recommended foods, just not the correct ratios. And that is also why i track every few weeks even this far into it...because its easy to lose track. It can be really frustrating when you're just starting out, for sure! The real point is, don't rely on anyone else to manage your keto journey for you. Choose a course of action, be consistent, stick to it for at least two months without fiddling with it, see how your body responds and then start tweaking. If you're constantly changing things, you will never know what is working, and what isn't. Listen to your body, and find that place where your metabolism, hormones and nutritional approach find harmony. You don't decide how to do keto based on your preferences, your body's responses directs you on how you need to approach keto. This is the basis of a well-formulated ketogenic diet. 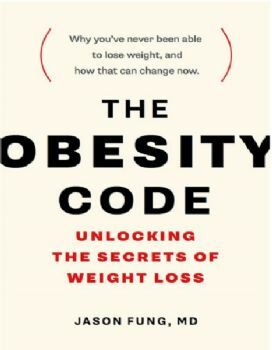 This book will explain to you why your weight 'suddenly' went out of control. Finally, don't worry about the scale. So many things can affect that number: inflammation, food sensitivities, stress (cortisol... and not eating enough increases stress on your body, as well as ups your inflammatory response, which stalls weight loss), illness, etc. These things often have to heal before you see results on the scale. Just stick to the basics and it will eventually move. 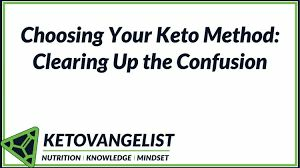 The people who have the most difficulties getting into and staying in ketosis, and seeing weight loss, are those who are constantly trying something different trying to get the scale to move. Just breathe, and keto on! Thank you so much for responding! I am eating less than 20 g. of carbs a day -- As a matter of fact most days I am under 10. I eat NO processed foods. And, most of what I eat is organic (when it is available in my area). I am taking in zero wheat and zero in root vegetables. Cheese, HWC, bacon and eggs are an everyday part of my life now -- which is ok by me but does not seem to be working. I see people losing large amounts of weight at the outset and when I gave up all wheat and potatoes from the start I expected to see some results. Perhaps now you can see why I am perplexed. I guess tracking my food and focusing on calories may not be the way to go. What parts of your diet do you track? Or, in the alternative, do you track any of it? I am still on my journey JAVENABLES - but the basic rule for keto eating is less than 20 grams of carbohydrates a day. You want your body to change from burning glucose as its main source of fuel - to burning fat as its main source of fuel. In order to do that, you have to "prime the pump" as it were, which means eat a bunch of fat, PLUS less than 20 grams of carbs, and make your protein "moderate". What does that mean? From what I can see, about half of what your fat intake is. And you want to eat fat to satiety. Until you are no longer hungry. So for me (5'2") 20 or less carbs, 40-50 protein grams, 100+ fat grams. There are keto macro tables out there to set you up for your own ratios. I do not think you need to count calories at all, in the beginning, to get going. At some point, if you have stalled, that may be a consideration. But for now, low carbs, mod protein, high fat. Real food. I joined this site and forum several weeks ago thinking I would find some help. I have been reading and reading and eating, what the charts (calories/fats/protein/carbs) I should be eating and am losing no weight. The more I read the more confused I get. I am 69 and never had a weight problem in my life -- size 3 - 5 until I was 65 then it all went away. One site tells me I am eating too much protein, another too many calories and another too much fat. PLEASE give me some direction!